POWEr is a performance based on high-voltage electromagnetic perturbations, by Alexandre Burton and Julien Roy. 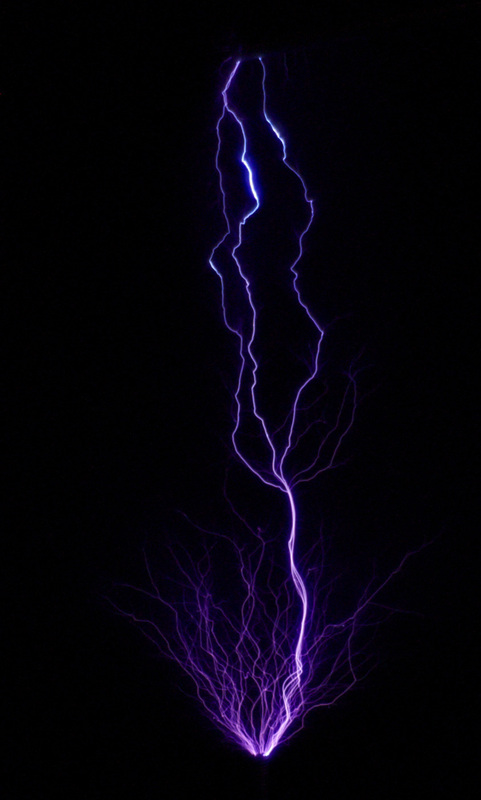 Using an audio-modulated Tesla coil as a live instrument, electrical arcs are generated and transformed in an ongoing, realtime audiovisual process. Electricity is used as a subtle yet intense material, manifested as an instrinsically synesthesic phenomenae.